As all good points’ people would know – points fares are best booked a long time ahead (say 360 days) or close to departure. Given this was a birthday trip around prescribed events, we wanted First Class – and for two pax, we booked a loooong time ahead. In fact we had enough Amex Rewards between us to ‘fund’ the whole First Class trip. But we would not have been able to transfer them to Qantas, and I really wanted to sample their product. Let’s start with the Qantas Classic Rewards fares. I monitored these for a while for availability. If possible, we wanted to fly on QF1, operated by an A380 via Dubai to London. Our dates were flexible, but needed to include being in London sometime between 23 and 28 May to see the annual Royal Horticultural Society’s Chelsea Flower Show. I always find that you have to juggle so many things when trip planning.We intended to stay with friends and relatives while in the UK – so dates had to be cleared with them. There were events we wanted to go to, that are tied to dates (Ok, yes I did have a spreadsheet of cultural events occurring across Europe for our travel dates). We also had friends in France we wanted to visit. My partner had an obligation in Barcelona. And finally we intended to travel to Russia with some of our UK friends, so they had to be consulted. So after juggling all of that and modelling various scenarios, we finally made our booking with Qantas on 30 May 2016 for a departure on 15 May 2017. All bookings and points transfers for this transaction were completed online within the Qantas website. Fees on Qantas rewards flights are always heady. When you consider that Qantas First Class fares on this route are roughly AU$10,000 one way, AU$600 odd dollars in fees per person is a relative drop in the ocean. We’ve been in Hong Kong a few times lately. Add to that the cost of hotels in the Hong Kong market, and that left us with Singapore Airlines, on an A380, in a couples suite! Bar availability, booking and points transfer – the deal was done. Again I monitored availability for a while and noted that you got a 15% points discount for booking online (unfortunately now discontinued). I wanted to travel all the way on the A380 – and so avoid the 777’s they fly into Sydney. My monitoring showed it was easy to find First Class space on the 777’s, but a little more challenging on the A380. My one difficulty was organising the layover online. Some web research and a note on the Singpore Airlines indicated that this was impossible, but that if you phoned, and arranged it – you still go the 15% points discount. The booking was made in early July – nearly 6 weeks after our outbound booking. Fortunately, there was reasonable availability on the dates we wanted to travel. I did, however, make two rooky errors. The first was to transfer points without reckoning on the 15% points discount. So I have about 28,000 points sitting with KrisFlyer that I must remember to mop up. The second – we wanted four nights in Singapore, but I managed to include a past midnight departure as one of those nights, meaning, that we were left with only 3 nights. Unfortunately, I didn’t realise this until months later, by which time availability for points bookings the following day had dried up. Other than those two minor errors, everything went to plan. Points were transferred from Amex and were with KrisFlyer within about 24 hours. KrisFlyer booked the flights with one phone call. The fees were substantially higher than for Qantas. We were set for a fantastic trip nearly 12 months out – all long-haul in First Class on two different airlines. Now I just needed to organise the rest of the holiday. 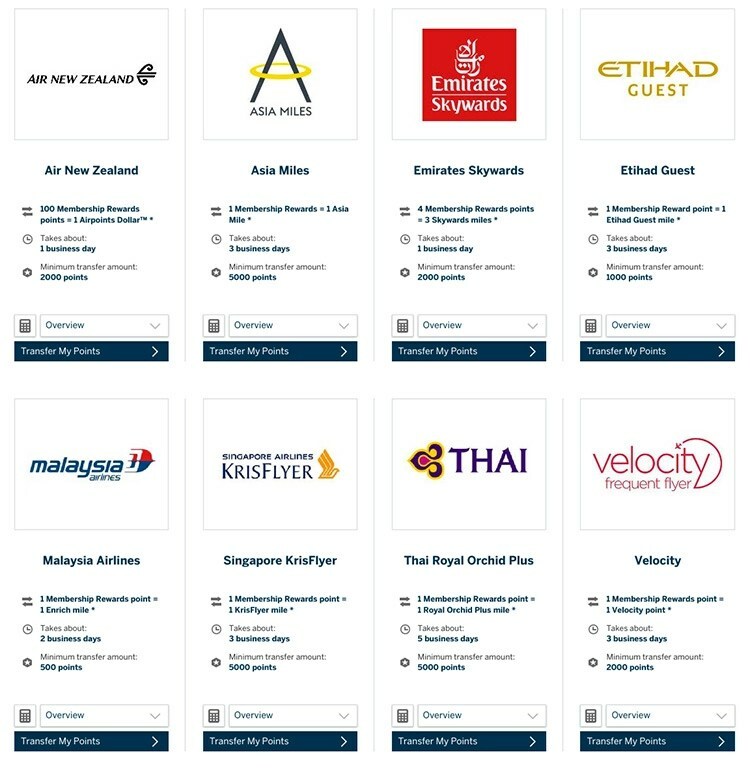 You should note that KrisFlyer/Singapore Airlines no longer give a 15% points discount for booking online but you can now book a stopover online.